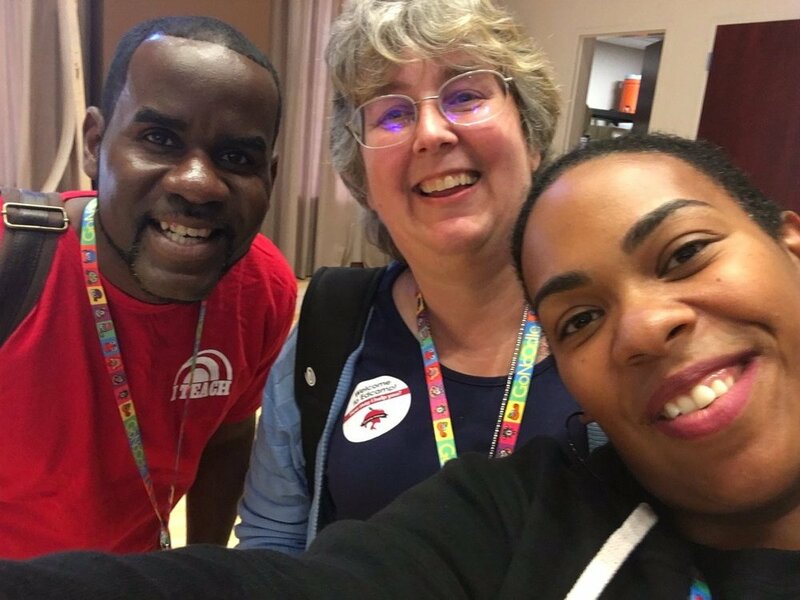 I have been so busy trying to implement the strategies and tools gained from attending this conference that I am very late on posting this blog. The Future of Education Technology depends on us learning, knowing, implementing, allowing, embracing, and integrating. 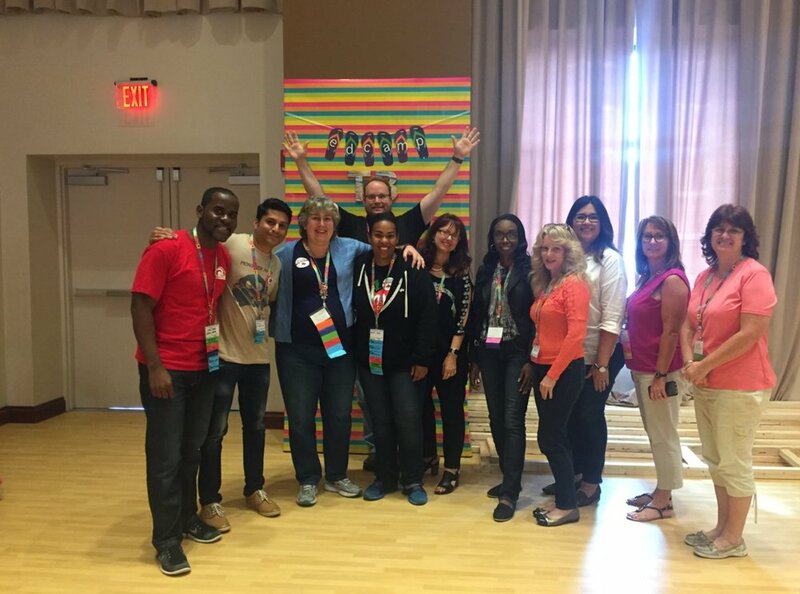 There was so much information discussed during this conference, from the keynote speakers to the poster sessions and from the breakout sessions to the many conversations and opportunities for sharing with educators from around the state of Florida and beyond. Below is an example of an activity used within a Language Arts classroom that combines the arts with writing. Google Slides allows students to bring these areas together in seamless display. One of the greatest benefits and takeaways from the F.E.T.C. Conference was the understanding that technology can be integrated into any classroom and not only that, it should be integrated. The above visual identifies that way in which a school combined Science, Visual Arts and Language Arts into a cross-curricular experience. There are great benefits to connecting multiple areas of the curriculum so that students can understand these relationships, as well as learn in a variety of ways. In this example, the presenters discussed a way to bring life to a biography. We certainly cover nonfiction reading as a part of ELA but why not make learning more engaging for students by integrating the technology component? In this example, students either created an image (using Sketchbook EDU), or found an image to to integrated into an app called Cha tterPix (screenshot pictured below). For example, if students were learning about Martin Luther King Jr, he or she might google search for a podium graphic, since it represents much of what Martin Luther King Jr. embodied in life. That graphic can be imported into ChatterPix and using coloring tools, colored over, to become a new image. See the video below, that was a bowl made from glass originally, transformed into Captain Granite. EdTech Karaoke (below) was a fun time, as it brought out the singer and songwriter and artistic talents. It was so great to see so many educators who were not only concerned about their classrooms, but music and the arts as well. The question "Why" should be asked when attempting to integrate technology into the classroom. We want the integration to have meaning for students and we can't just put an iPad in their hands and expect that they would not need guidance in its use. How can we make technology as meaningful as possible? (Consider why the technology is being used). Newsela allows students to read on an appropriate lexile level and if students require more scaffolding, they can navigate through and select a lexile level more appropriate for them. This is helpful for students as they learning the research process and there is a wealth of information at their fingertips. What would any conference be like without interacting and engaging in excellent dialogue with other educators? 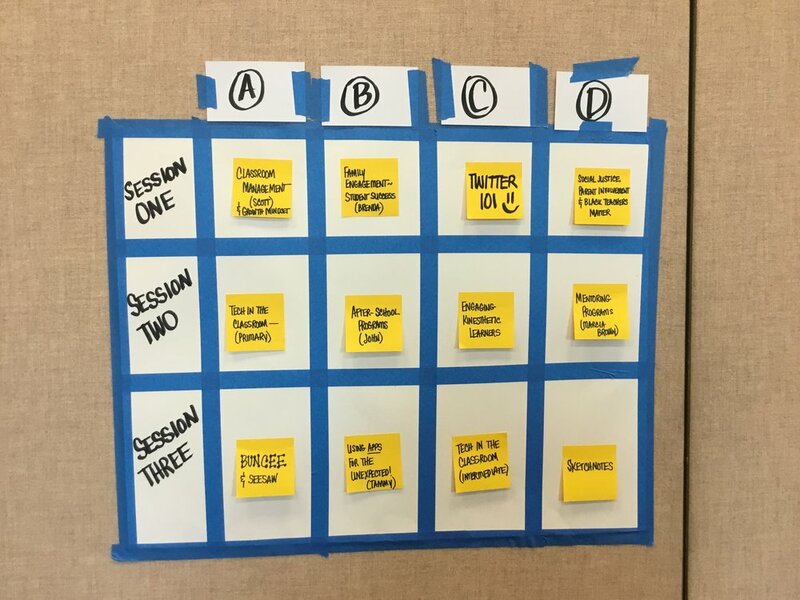 Just as much as the sessions and the keynote speakers, these conversations allowed for rich learning experiences with lots to think about or consider. 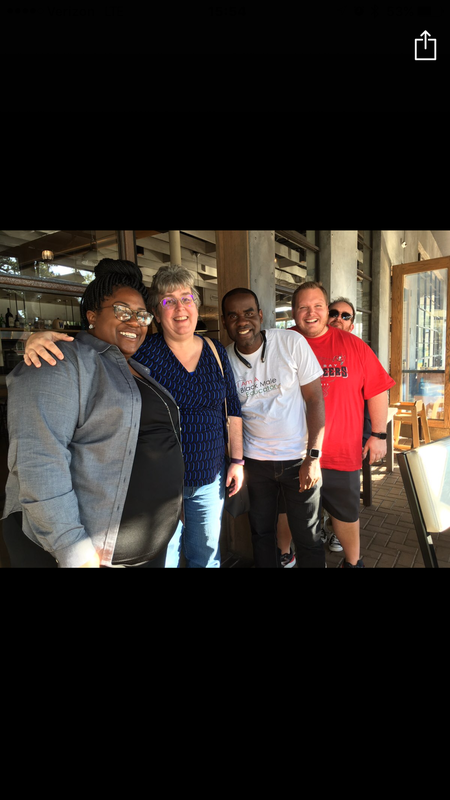 Below is a video that captures a few of the highlights from FETC with my voice in the background. I used this to present to teachers back at the school. It does not encompass everything but do enjoy. It's not about the technology, it is about what you do with it, the pedagogy. Yes! Let's not go backwards. Michael Meechin shared that "The future of education is you." It can't be done without passionate educators who are excited to try new things, make mistakes, make everything a learning experience, both for the educator and the students and ultimately, keeping the students as the unique focus of every classroom. Integration is a much needed act. The fusion of teaching and technology must happen in order for education to be relevant. You may be asking yourself how Twitter is educationally relevant. Some view Twitter simply as a networking opportunity and perhaps others deem it as a social media influence. Educators all across the globe use Twitter every day to engage in meaningful and relevant discourse regarding tools, self and classroom development, innovation, encouragement and developing a strong network of educators that can and do interact in an ongoing manner.